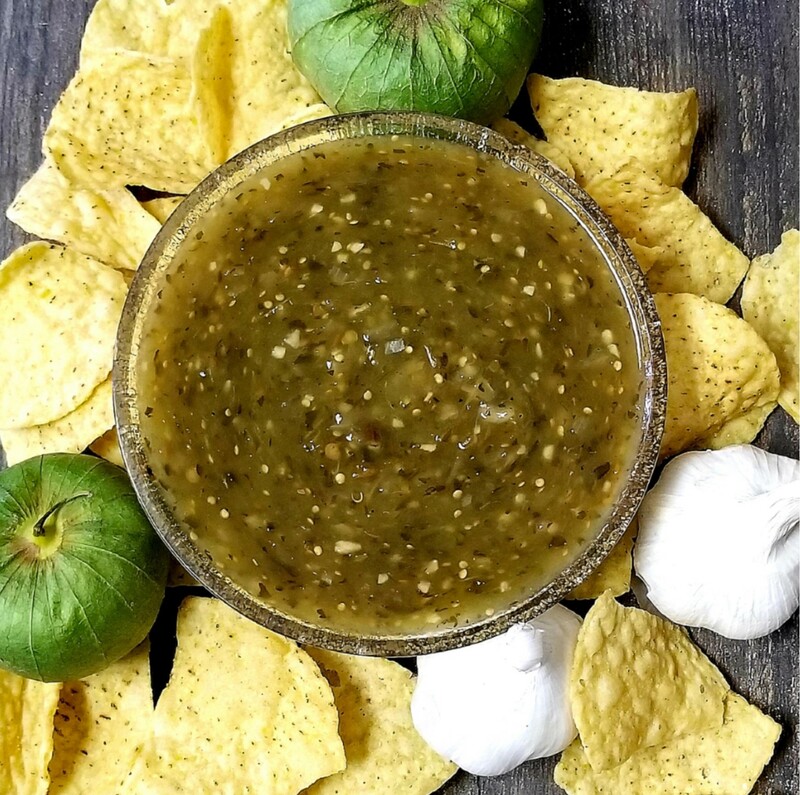 Fire roasted tomatillos combined with fresh garlic, cilantro and a hint of lime results in this wonderful tomatillo garlic salsa. Excellent to use with a variety of foods. A natural on grilled meats. Create pork chili verde to rave reviews. I first purchased this salsa at the Renaissance Festival in Colorado. I tried to find something that compared in stores and spent a lot of money to find that nothing compared. The garlic makes this product different than anything else out there. This is, without a doubt, the BEST tomatillo salsa that I have ever tasted ... salt or no salt. It is fresh, bright and flavorful. Your tomatillo salsa will be a staple in our kitchen from now on.